Cambridge’s jobless figures fell again last month bringing hope of a brighter 2014 for those seeking work in the city. 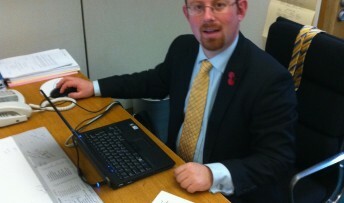 The news that there were 371 fewer people claiming Jobseekers’ Allowance in November compared with the same time last year and 63 fewer than in October has been welcomed by Cambridge MP Julian Huppert. He said: “We have seen our unemployment figures falling steadily month by month and this is very good news for those looking for work. The national picture is also brighter which is testament to the fact that the economy is moving in the right direction. “Clearly, for those people who have been unable to find work, Christmas is a particularly difficult time of year and my thoughts are with them in the hope that their fortunes will turn round quickly.